There seems to be an endless amount of articles on the internet about email marketing automation, offering advice like “10 Tips for Crafting the Perfect Email Campaign” or “6 Common Email Automation Mistakes to Avoid”. But combing through these articles to find tactical tips for how to improve your email campaigns or, even to get some simple inspiration, can be absolutely exhausting. I don’t have a lot of free time to review all the new reports on “Email best practices and trends for Q3”, and I’m sure you don’t either. 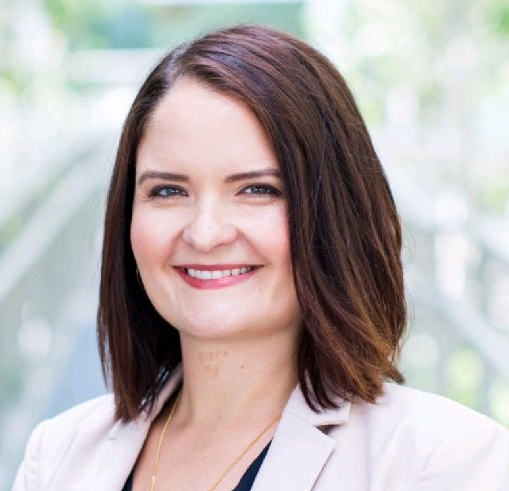 Luckily, after working at an marketing automation company and running email campaigns for lots of clients across the tech sector, I’ve racked up a closet full of the juiciest tips in email marketing. Here is my distilled version just for you. Before you can go forth and write awesome emails, you need to know the basics of email etiquette and engagement. While some of these seem like no brainers, you’d be surprised how little people are actually putting these tactics into practice in their email campaigns. In other words, don’t send thoughtless content. When you send people emails that only toot your own horn, you end up with an unhappy reader who will end up ignoring your emails. And rightfully so. The average consumer receives 125 marketing emails a day. With that level of competition, you aren’t going to stand out by always raving about yourself or by acting like a cheap car salesman. Every email you put your name on should add value for whoever you send it to. How is this amazing <tip/ offer/ new product/ factoid> going to create value for my reader? How is this going to help them do their jobs better or make their lives better? Is the design clean, clear and interesting? Tactic: Use a real employee’s name for the email address. People buy from people. Just look at our new billionaire Kylie Jenner’s Instagram, or all of our Facebook friends who are selling Rodan and Fields. People are looking for a friendly face, and info@Yourcompany.com is impersonal and just not going to cut it. Instead, send emails from someone at your company who will be a consistent face, not someone who is changing roles every few months. Be being consistent, you will make your readers more comfortable and they’ll be more likely to open your emails. Tactic: Introduce yourself through a welcome series. Just because someone trusted you enough to give you their email does not mean they are head over heels for your product or service. Approach new readers in your database like you’re dating, and getting to know each other. Don’t assume you’ve already made it down the aisle. A perfect way to do this is a welcome email series. Share facts and tips that help them get to know you a little better. You’d be surprised how little people actually do this. A research report from Iterable found that only 19% of subscription companies in their sample sent a welcome series, and 32% didn’t send out any welcome email at all. Putting in effort into a welcome series will set you apart. Give easy steps with what they can do with your brand. Kickstarter does a great job of this. Give them a credit to share if they share with their friends. Check out this campaign by Outdoor Voices. Deep dive into one aspect of your product that provides an easy next step to take. Ensure that whatever you’re asking them to do is high value and will help create stickiness. Look to Asana for inspiration. Asana focuses on only one feature, which ensures that the reader is not overwhelmed with information. Tactic: Provide multiple price points. If the goal of your email is to get readers to buy something, then it’s best to give them one higher priced option and one lower priced option to compare it to. More than likely, they’ll pick the one you wanted them to – the middle one. Why is that? In Predictably Irrational, Dan Ariely talks about how our brains are wired with the desire to be rational. By having readers compare the different prices in context, their brains try to make a “rational” choice by choosing the option that isn’t too expensive but is still valuable. We’re incredibly lucky. We live in a time where consumers embrace brands that leverage creativity and innovation to engage with them. And now is your time to shine! Unleash your creativity and delight your readers with the tactics outlined below. Tactic: Make an exclusive new original content series. Readers love feeling like they are a part of something by being part of your mailing list. They especially love being part of the “in” crowd – the crowd that gets exclusive access to new content. This is why creating an exclusive new original content series is a great way to make you stand out. 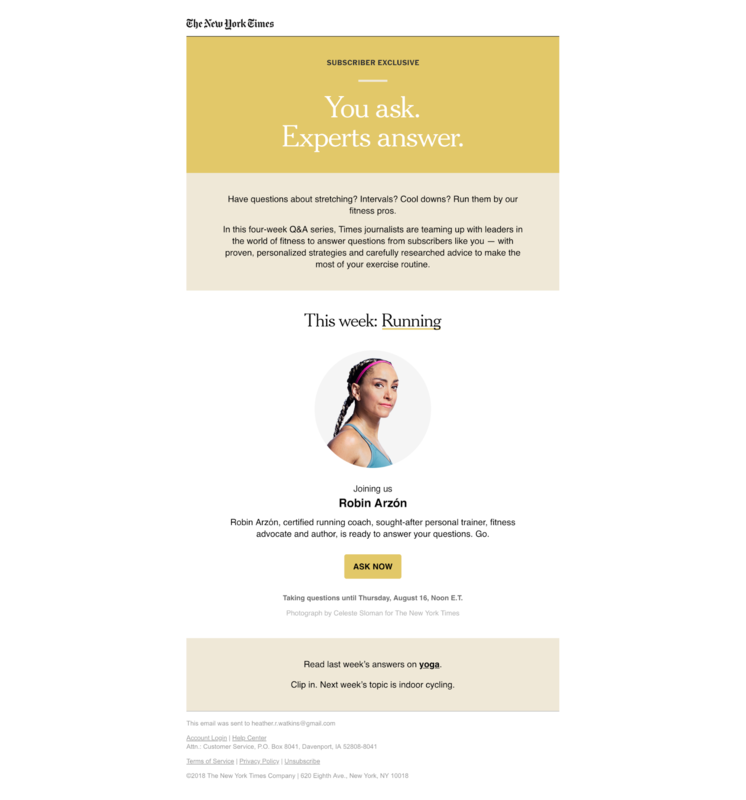 For example, the New York Times started a four week series where readers get to ask famous fitness experts their questions. ‍The New York Times sends their readers through exclusive and engaging content. Giving readers the opportunity to engage with experts they may not otherwise get a chance to is of huge value to them. Take, for example, the Quartz Obsessions newsletter. Every newsletter takes a deep dive into a variety of interesting topics, like pandas and olive oil, and provides readers with otherwise hard to find information. Before you get started, do a bit of research and find out what your readers care about. Then, put your unique spin on it. Tactic: Run a cohesive theme through your newsletter. Instead of just blasting a random digest, turn your newsletter into something meaningful by centering it around a theme that your readers can come to expect. If you take your newsletter seriously, your readers will too. For example, Exygy, a boutique design and development studio, focuses their entire newsletter on their core mission – building healthy and resilient communities. Another fantastic example is What the Elle. Curated by Ellevest, an investing platform, What the Elle is loaded with humor, financial facts, and helpful tips for women. The key here is that it feels genuine, heartfelt and purposeful, and not just like any other boring blast email. Personalization is no longer optional – readers have come to expect it. 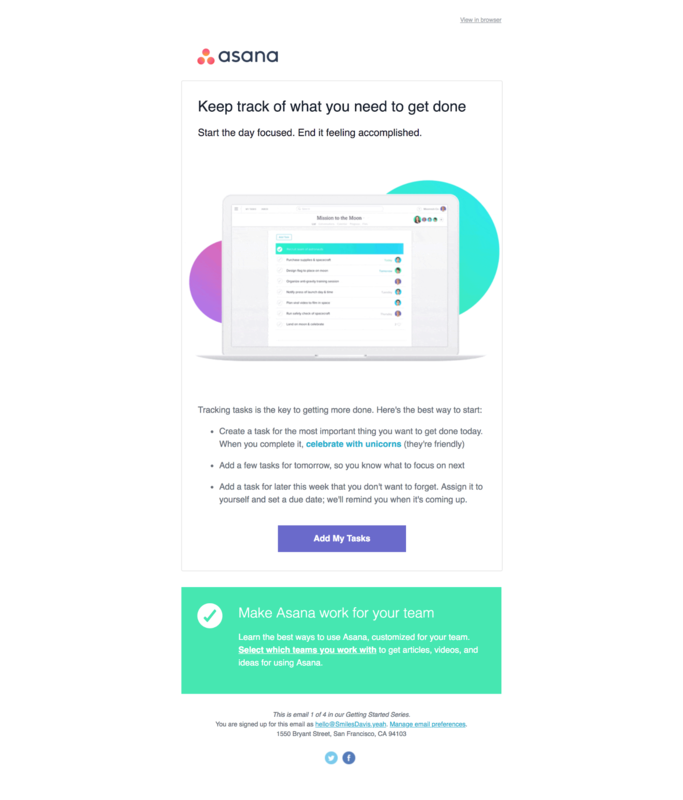 They expect companies to know them well enough to send them things that are tailored to their wants and needs, instead of lumping them into a blast email that doesn’t make sense for their persona. Failing to tailor your emails can leave your readers feeling like you don’t care about them. Nowadays, marketers have the tools to easily target via geography, past purchases, and web and email activity. Nearly every email service provider or marketing automation tool has some sort of tailoring capabilities. Now go on – think a little harder about tailoring, even a little, each email you send. For some inspiration, here’s an example of how Carnival thinks about personalization. The same email series may have over 1300 versions sometimes, depending on the cruiser’s itinerary and whether forecast! Tactic: Trigger emails for interesting activities or events that will make your reader smile. It’s important to send your readers emails that also aren’t too salesy – for example, by celebrating certain milestones the reader has achieved by using your product or service. Peloton, an exercise bike that live streams classes, does an awesome job of this. They send a super personalized and socially-optimized anniversary email with important milestone data, to make their readers feel accomplished. They also send a Pride celebration email that is sure to make the reader smile. Tactic: Make your emails interactive. Delight and surprise your reader by investing in some fun and beautiful designs for your emails. For example, check out this clickable email carousel like Nest’s. Or make it really easy to add items to a shopping cart directly within the email, and go straight to check out. Or what about adding a quiz within the email? If design is not in the budget right now, you can go over quick and easy wins like adding hover effects and leveraging gifs and emoticons to your emails. Here’s a very visually compelling email from Harry's leveraging gifs. But beware – while emoticons are proven to improve open rates, they must be used sparingly. See more tips here. Tactic: Re-engage or move along. If you notice people aren’t opening or clicking your emails, either reengage or move along, keeping in mind that acquiring a new customer costs five to 25 times more than retaining an existing one. To re-engage dormant readers, trigger special offers or exclusive events to get these people back on board. If that doesn’t work, send them a quick questionnaire, asking them if they want to stay on your list. If they answer no, ask why. Take feedback seriously – you’ll learn more about your readers wants and than by continuing to send emails to people who don’t want to receive it. After reading these tips, you may be thinking to yourself – this is great and all, but I have way more ideas than what I can possible execute on! I also understand that getting sign off is hard, and sometimes prioritizing time is even harder. Even still, that shouldn’t mean that your reader has to suffer. Let’s make a pact. Write one of these ideas down that you want to try, stick it on your computer and make it a personal goal that you’re going to try launching it over the next 2 weeks. Don’t over analyze, just do it. Looking for more inspiration? Really Good Emails put together a nice list here. How use people’s actions to sort them into powerful clusters.